For millennia, people have collected and cultivated plants to reap their benefits for healing and wellness. Plants and fungi were often coveted for their supposed magical properties and ability to alter the human consciousness. Join us for a botanical journey and learn about the wondrous plants hiding in plain sight, from their dynamic relationships with their ecosystems to their varied uses throughout human history. 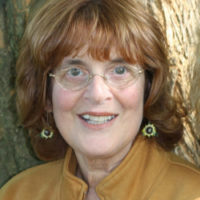 Leslie Day is the author of numerous books, including Field Guide to the Natural World of New York City. Tours are limited to 30 guests per tour. Please buy tickets in advance. This walking tour has been canceled due to expected inclement weather conditions. We apologize for any inconvenience. Please stay tuned for more walking tours in the future. Thank you very much for your interest in and support of New-York Historical Society’s public programs. Can’t make it on this date? We’ve got more of The Magical World of Plants!